What happens if academics at different career levels are deputed to various government departments? A lot of good, argues the author. 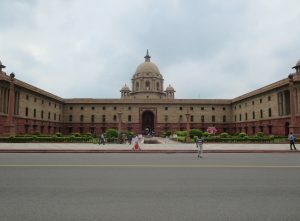 In a recent article in the Indian Express, Milind Sohoni (from IIT-Bombay) makes several points about the structure of the Indian Administrative Services (IAS) as it stands. Specifically, while calling for a “drastic change in the structure of the department and the roles and responsibilities of IAS officers”, he discusses the possibilities offered by the recent move of the government to induct ten “talented” people at the Joint Secretary level. Prof. Sohoni moots the idea of bringing in more such “outsiders” into the administration at a junior level, at the level of a Deputy Secretary. He draws on his experiences interacting with the state Water Supply and Sanitation department to outline what he sees as the shortcomings of the current administrative system and (guardedly) applauds these new measures to bring in change. Without specifically getting into the pros and cons of the current administrative system, I’d like to expand on Prof. Sohoni’s theme. Are there talented and interested scientists who would consider a deputation to a government ministry (here, I define a scientist as someone with a PhD in science, mathematics or engineering)? What would be the benefits of such an arrangement for the system? There is already a tradition that Secretaries in science departments, such as DST, DBT and CSIR are not IAS officers – rather, these are selected from the pool of experienced researchers in the country. These are positions of significant responsibility in the Central government and are very few in number. These are sufficiently prestigious and present sufficiently challenging opportunities that they are attractive to the best scientists. However, as Prof. Sohoni points out, there are no such lateral appointments at junior levels and none in the local government (viz. state or city administration). He suggests that several departments in local and central government would benefit from the creation of an Analysis and Research section that could be staffed by scientists on deputation. Clearly, there are significant benefits to administration (in local and central government) being informed by the domain expertise brought in by researchers with specific experience. I would argue that there are even more important intangible benefits from such an arrangement. In the first instance, it creates bridges between local/central administration and domain experts. There are probably already mechanisms in government to set up consulting arrangements with experts. However, these tend to be typically project based short term assignments on very specific topics. They are limited to a relatively small number of senior experts who are willing to engage with administration on such short term projects. However, these do not embed researchers in administration for any reasonable length of time. Deputation for, say, a 2 year period might allow for more meaningful contributions and allow strong personal ties to be built between full-time administrators and these experts. Secondly, this arrangement is likely to be help scientists better appreciate the practical issues faced by administrators and help them understand live problems of immediate interest to government. A keener appreciation of such issues will inform teaching (when such a scientist returns from deputation to a university) and research (in terms of the choice of topics or direction of research). Finally, bringing in a larger pool of junior researchers will create a bigger pool of experts that will be available and can be tapped into by government or administration at a later stage in their careers. Therefore, I anticipate that there are many more advantages to schemes that allow government to tap into the strengths of the scientific community. The other issue that is worth considering is whether we have sufficient numbers and depth in the scientific community in the country to implement such a programme, for example, to staff the Analysis and Research section that Prof. Sohoni advocates. Consider an academic researcher who is a faculty at a university. For convenience of argument, let us consider early career, mid career and senior faculty (Assistant, Associate and Full Professors, respectively). Also, let us consider that government should only consider the most talented in this cohort for such assignments. These are likely to be scientists trained at the best institutions, employed at leading research universities and laboratories and involved in demanding research programmes. A full time deputation with government might help in developing perspective in the long term, but might be viewed as an unaffordable distraction for ambitious assistant professors seeking to establish themselves as independent researchers. I’ve seen several established associate and senior professors with large research groups who are unable to take the time out to go on sabbatical. Therefore, the continuity required to run a research group might preclude a large fraction of active scientists from taking up such deputations with a full time commitment and that might require relocation. This is not to say that there isn’t a role for these career scientists. Perhaps, there is the possibility of designing roles with a strategic function that can be fulfilled by a think tank of long term consultants, viz. career scientists who commit two days a month to meet with career administrators over a period of several years, as advisors to the Analysis and Research section. Who, then, will comprise the Analysis and Research sections? One possibility to consider is to provide for internships for fresh PhDs to serve in this role. Would the Science and Engineering Academies consider creating prestigious internships by inviting applications and, fund them at the same level as, say, an Assistant Professor? Involving the Academies would give credibility and prestige to these internships and they can be selected transparently through a screening process (at the Academies) followed by an interview (with the panel drawn from eminent scientists and senior administrators). These early career scientists would be able to contribute their expertise and, in turn, will gain extremely valuable experience and insight that will stand them in good stead when they move into a regular job. This will also help develop bridges between the administration and future leaders in the scientific community. I’ve seen an example of such an arrangement when I ran into two talented young professionals in the War Room of the city municipal administration. These two interns had committed to work with the municipal corporation for an extended period of time and reported directly to the Commissioner. They obtained and analysed data, and made research based recommendations that helped formulate policy interventions. These researchers might not end up permanently in government – however, when they depart, local administration would have benefitted from interacting with them and they would have received practical lessons on how government works. And, they would have made connections with career administrators that would last beyond their tenure. Perhaps it is an appropriate time for the Academies to consider funding such internships. Guruswamy Kumaraswamy is a scientist at the CSIR-National Chemical laboratory, Pune.